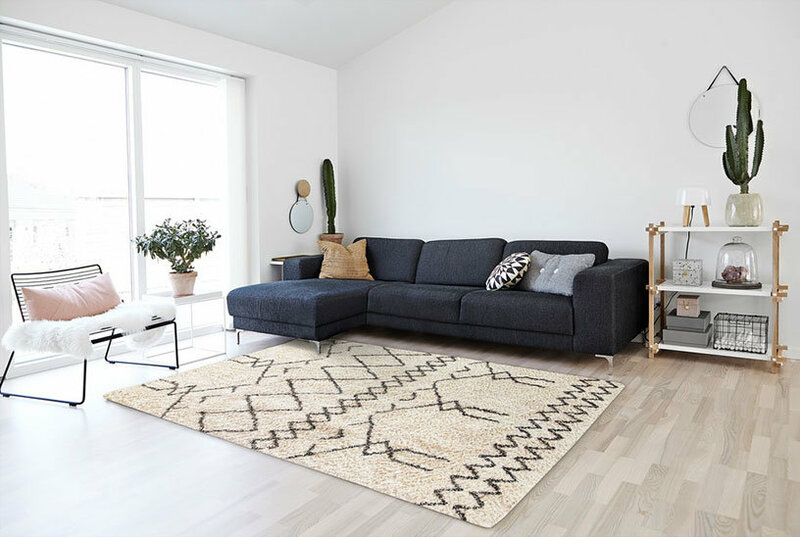 A collection of contemporary loop-and-pile area rugs handmade in a Lori-Loom weave using premium wool. Various multi-level motifs provide texture and visual interest to this handsome group of modern designs. A smooth, silky blend of wool and Jaipur's art silk fabric are hand loomed in a textural loop and cut ribbed construction to create this luminous rug.